At ASAP Garage Door & Gate Company, we specialize in the design, installation and repair of your iron gates, fences and ornamental railings. Add charm, security and curb appeal to your home with one of our driveway estate iron gates. Whether you want to keep out those pesky solicitors, keep your little ones close to home or add a little extra privacy, we have the style that is sure to make you the talk of the neighborhood. Choose from a single or double gate depending on your driveway’s width, and the luxury of your automated gate entry will have you arriving home in style. ASAP Garage Door & Gate Company will take you from the design process, through installation to automation. 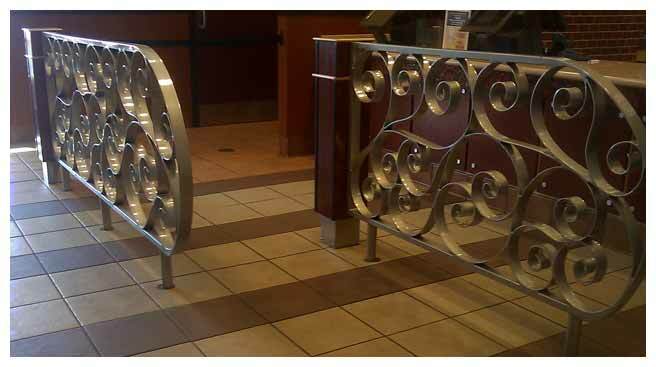 Design: ASAP customizes every Iron Gate to satisfy our customer’s unique aesthetic taste, match the look and style of your home or business, and conform to the parameters of your entrance. 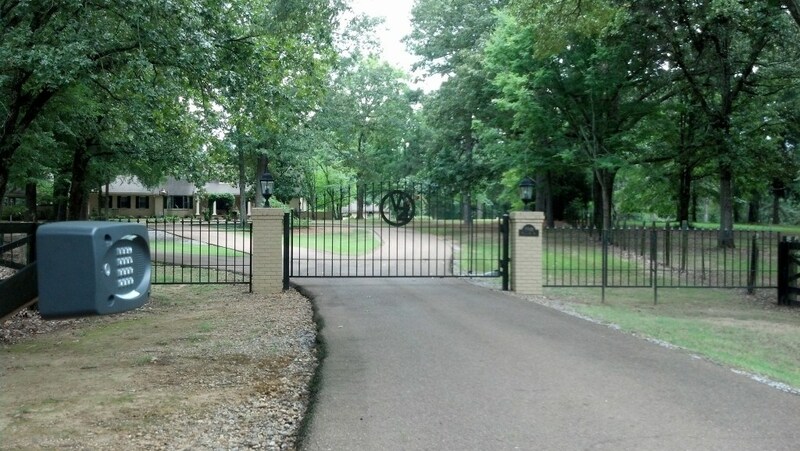 Installation: ASAP will install your Iron Gate and choose the right automation system for your home or business. 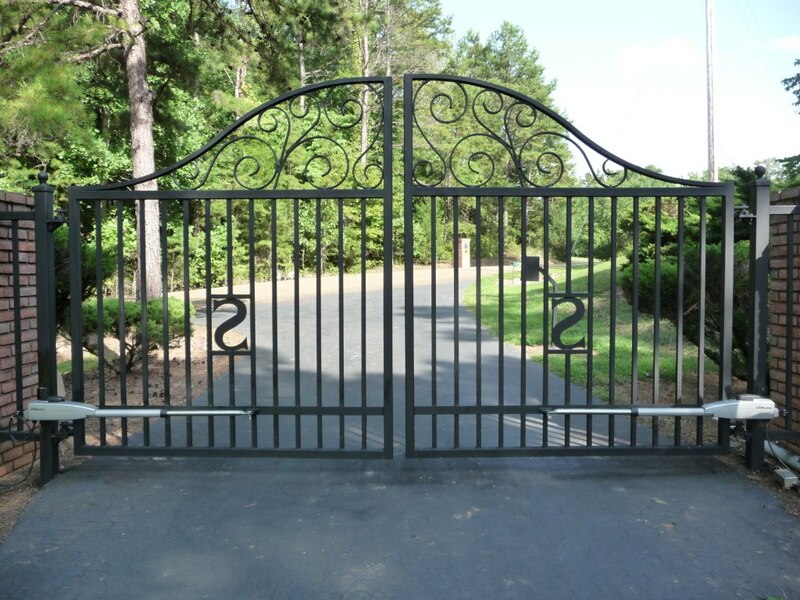 Automation: It is critical to have professionals automate your Iron Gate! Faulty installation could result in severe injury or even death. At ASAP, we conform to UL325 and ASTM F2200 safety requirements for automated vehicular gate systems. Do you have an existing Iron Gate that that needs automation? Call ASAP Garage Door & Gate Company for a free estimate and you’ll soon revel in the ease, convenience and elegance of your newly automated Iron Estate Gate. Is your automation in need of repair? ASAP Garage Door & Gate Company is the automation expert to call when you need your vehicular gate systems repaired. We guarantee all of our work and take every precaution according to state and local safety regulations so you can feel secure, protected and confident with your renewed remote entry. Whether you need residential grade or commercial grade Iron Fences, ASAP Garage Door & Gate Company will help you come to the right choice for your home or business. We install only the highest quality pickets and channel bars with your choice of decorative finial. 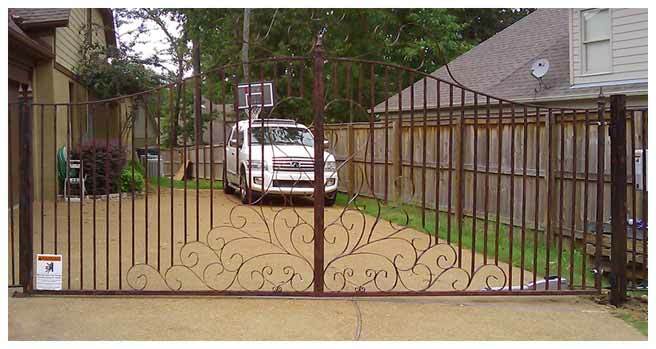 We customize the style of your gate then powder coat it all to add shine, beauty and preservation. Additionally, we offer repair of your Iron Fence, Gate or Automated System. We can custom build any fence, gate or railing! Call or email us today about your project for details and pricing.